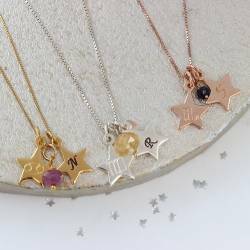 Inspired by the magic and mystery of the universe, the Zodiac Star & Disc Personalised Charm Necklace is a contemporary piece of jewellery with stellar appeal. 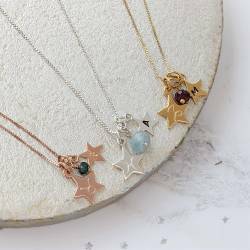 Available to purchase with or without a birthstone gemstone, this exceptional necklace can be personalised to complement any special occasion. 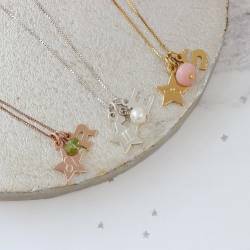 Presented in three eye-catching colourways to coordinate effortlessly with your jewellery collection, this gorgeous charm necklace is offered sterling silver, rose gold and yellow gold vermeil. 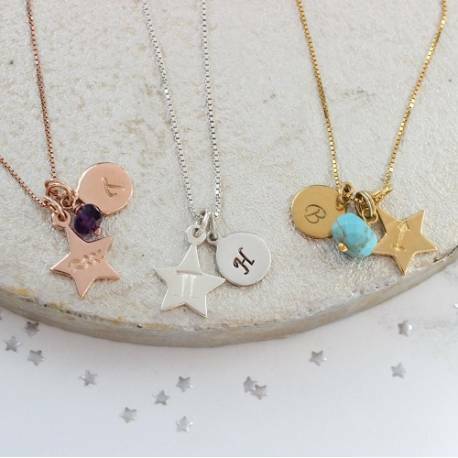 Fully customisable with the letter of your choice, which will be hand-stamped on the disc-shaped charm for maximum visual impact, it will make a standout addition to workwear, weekend casuals, and special occasion attire. 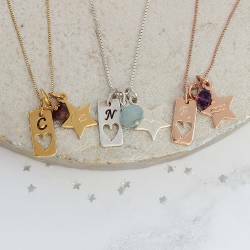 The Zodiac star charm is approx. 1.2cm across and hangs approx. 1.6cm from chain. 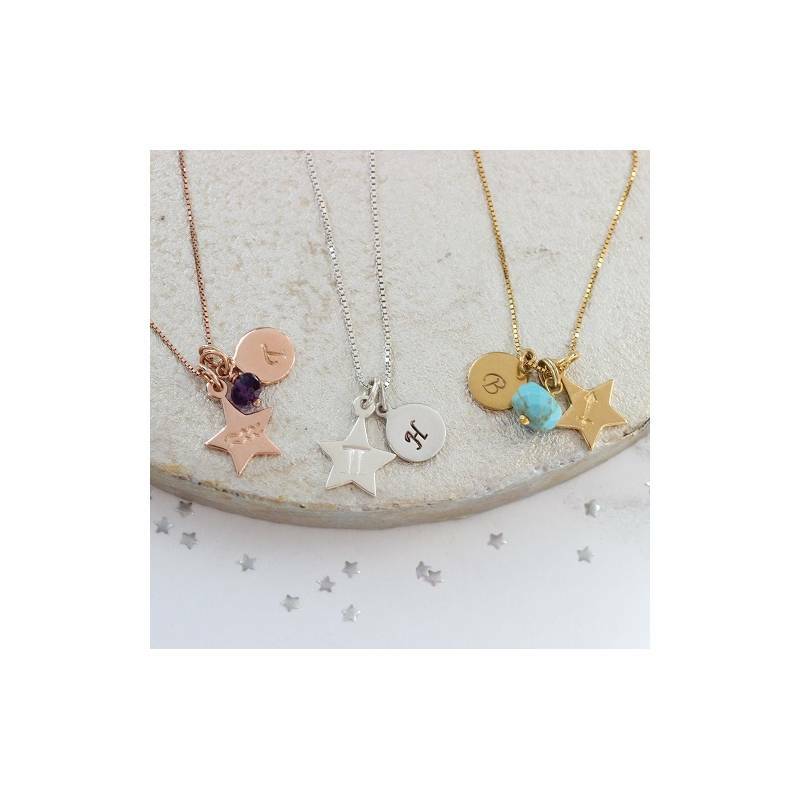 The disc charm is approximately .9cm with the loop it hangs approx 1.5cm from the chain.